Proudest Smith achievement: Speaking about my empirical study on self-stereotyping in educational environments at my honors presentation. Surrounded by close friends and beloved professors, I couldn’t help but feel accomplished and incredibly pleased with my research project. Best Smith memory: Going apple picking with my housemates on Mountain Day this year. Favorite class: [Psychology Assistant in Statistics] David Palmer’s statistics courses completely changed the way that I approach academics and conceptualize new material. Career plan: I was awarded a Fulbright fellowship to teach English in Korea. I can’t wait to reconnect with my cultural roots and spend a year eating my body weight in Korean barbecue. Then I’ll try to find a job in Washington, DC, and begin studying for the dreaded LSATs. In the future, I hope to obtain a law degree and work as a legal policy adviser on education issues. Vision of your future: The prospect of confronting the grim job market is quite worrisome, but I am confident that Smith has equipped me with both the skills and resources to find my place in the world. Proudest Smith achievement: Being the Student Government Association president this past year. I look forward to being a Smith College trustee for the next two years. Best Smith memory: I traveled to Kenya to do a service project with three other Smith students of color. We had an amazing experience and the trip has affected us for the rest of our lives. Favorite class: “Classic Black Texts” with Associate Professor Kevin Quashie. The class seemed more like a book club with a professor to guide us, which made the learning and papers more fun! 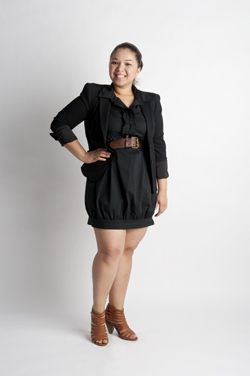 Career goals: After completing two years in Teach For America, I plan to attend law school. I would actually love to get a joint JD/PhD in public policy. I see myself practicing law and then reentering the classroom as a professor. Vision of your future: I am excited for new beginnings and I know that Smith has fully prepared me for the world. 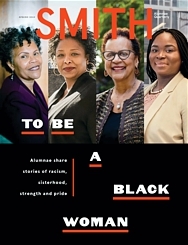 Best Smith takeaway: Smith women change the world! Proudest Smith achievement: When I received the Ford Motor Company Prize for Sustainability in both my sophomore and senior years. It was a great feeling to be recognized for my work and for my involvement with groups like Engineers for a Sustainable World and Smith College Bike Kitchen. Best Smith memory: Taking a trip to Professor Glenn Ellis’ house with my engineering friends on our junior year Mountain Day. We had asked him to teach us how to drive a backhoe, his favorite example for his “Strength of Materials” course. We spent the morning digging up his backyard and the afternoon snacking on cider doughnuts and apple juice. Favorite class: “Introduction to Engineering” was, by far, one of my favorite classes. 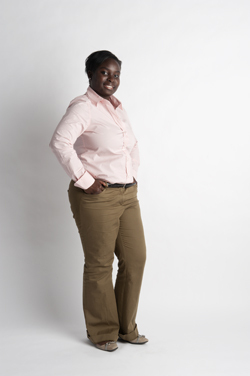 [See alumnae.smith.edu to read about her role in a library-building project.] It gave me a new perspective on the different disciplines of engineering and the opportunities available with an engineering degree. Career: I’m moving to San Francisco to start an entry-level position at Glumac, a mechanical, electrical, and plumbing engineering firm. Ultimately, I hope to combine my interest in history and art with my passion for applied technology to make historic buildings more sustainable structures. Proudest Smith achievement: Being published in Labrys, the Smith literary magazine, and being selected as a Poetry Center intern. Best Smith memory: Every Mountain Day, my house goes apple picking at a farm owned by two former Lamont House residents. Their beautiful farm, my entire house laughing in the crisp, fall sunshine . . . those are the images I’ll think of when I remember Smith. Career plan: I got into the MFA program in fiction at Mills College, but deferred for the year to save some money and look into jobs in the publishing industry. Whatever route I take, my life will be committed to literature. Vision of your future: With the job market the way it is, I can’t say I’m not worried. I hope I can be a writer, a publisher, a teacher, and though I’m worried about finding my way in to these fields, I think Smith has made me a competent and capable person with the ability to do anything I put my mind to. Proudest Smith achievement: Representing Smith at a conference in Dubai with women from around the world. Best Smith memory: Sitting around any dinner table in any dining hall wanting to just have dinner and suddenly finding myself talking about gender or racial issues. We would be so into the conversation and would stay in the dining hall for hours after dinner. Favorite class: “Child and Adolescent Growth Development,” with education lecturer Janice Gatty. Career plan: In August I will start teaching Spanish 2 and 3 at a high-performing urban charter school in Boston. Simultaneously, I will attend graduate school to receive my master’s degree. After gaining valuable experiences in the classroom I will go back to school for a masters or a PhD in educational leadership and policy, hoping to enter the realm of school leadership. Vision of your future: I want to be an advocate and some sort of revolutionary but I worry that as life becomes “real” that vision will be clouded by taxes and responsibilities. Best Smith takeaway: The feeling that nothing is too big to overtake. I am unbeatable.